If you listen to the advice of this book, you shouldn't have read this book. 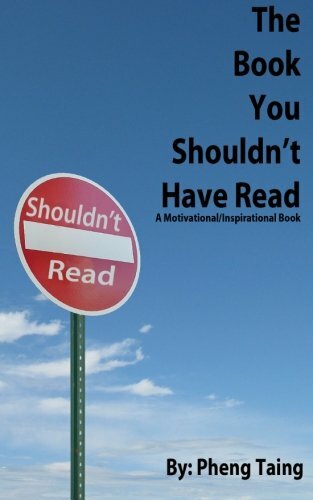 The Book You Shouldn't Have Read is a book meant to motivate and inspire you to get the things you want accomplished in your life through a series of goal setting techniques. Using the SMART system first introduced by George Doran and the author's own spin on SMART, this book uses examples of successful entrepreneurs to help drive the point home. Since you shouldn't have read this book in the first place, it is deliberately short and to the point so as to not waste your time reading.